The Mobile Application industry is growing every year as new industries are starting to merge with the mobile app industry in hopes of boosting revenue and services for their own industry. 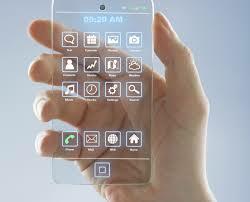 One industry which is getting influenced heavily with mobile applications is the automobile industry. Many car makers have already developed mobile applications which can perform such functions such as automatically starting/turning off a vehicle using a Smartphone device, the ability to stream music (using mobile applications such as Pandora or iHeartRadio) throughout the vehicles auto system using a Smartphone or even using a Mobile Application as a GPS device as opposed to using the one already included in the car. One new concept which was recently introduced into the automobile industry was a new location based mobile application development for Ford vehicles. Ford and its partners have been developing a new futuristic mobile application that will provide “selected personal contacts with an automatic location update during (a) driver’s travel”. This mobile application would have the ability to monitor a vehicle’s specific location (using location based services), as well as speed; if the driver is running late (for a meeting or get together), then the mobile app will automatically send an email or text message notification to the selected attendees informing them that he/she will be running late. This mobile application is expected to do well as drivers no longer have to risk with interacting with their Smartphone while on the road and also allows others to know exactly where the driver currently is and how long till they arrive. The beauty of this mobile application is that the drivers will not have to input any data; allowing him/her to focus on the road. This mobile application will also have the ability to notify “the driver’s family following a safe arrival after a road trip” says Ford Mother Vehicles. This will certainly be a nice feature to have for families who are always on the road or for families who have teenagers who are constantly driving from one location to another. It is still unclear what Smartphone platform the mobile device will support but some mobile application developers and mobile apps development experts believe the two main platforms which the Ford Mobile Application will support are the iOS and Android application development Platforms. Ford is hoping to release their latest mobile application in the near future as they have already received great reviews from many individuals in the mobile app industry who have testing the beta version of Ford’s Mobile Application.